BRYAN EATON/Staff photo. 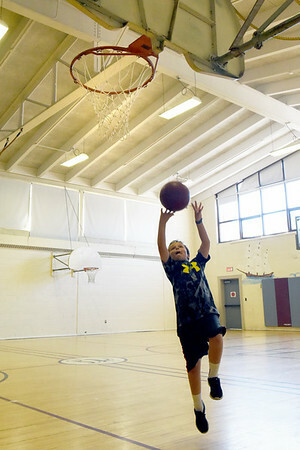 Caden Delibero, 11, practices his basketball skills at the gym at the Newburyport Rec Center. He was waiting for some friends to show before they headed out to the outdoor basketball court.